Read more about ICMA's international work in local government in the November Issue of PM magazine: Local & Global: 30 Years of Making a Difference Around the World. During the past eight years, local government administrators from Nebraska and Norway participated in a professional exchange by visiting each other's workplaces and learning about the other's projects. The educational leadership that initially engaged this program to bring about a better working understanding of both systems was inspired by the work of Dr. Dag Olaf Torjesen, Agder University in Norway, and Dr. Robert Blair, School of Public Administration, University of Nebraska Omaha (UNO). The Nebraska City/County Managers Association (NCMA), working closely with Dr. Blair since the beginning, has used its network of professionals across Nebraska in city and county management positions to enlist qualified administrators with the job experience and a UNO education to continue outreach among their international colleagues in Norway. This knowledge exchange builds a strong bridge of connection toward developing a working relationship in training for the future and integrates an exchange of ideas for community leaders that may enhance both Nebraska and Norway. 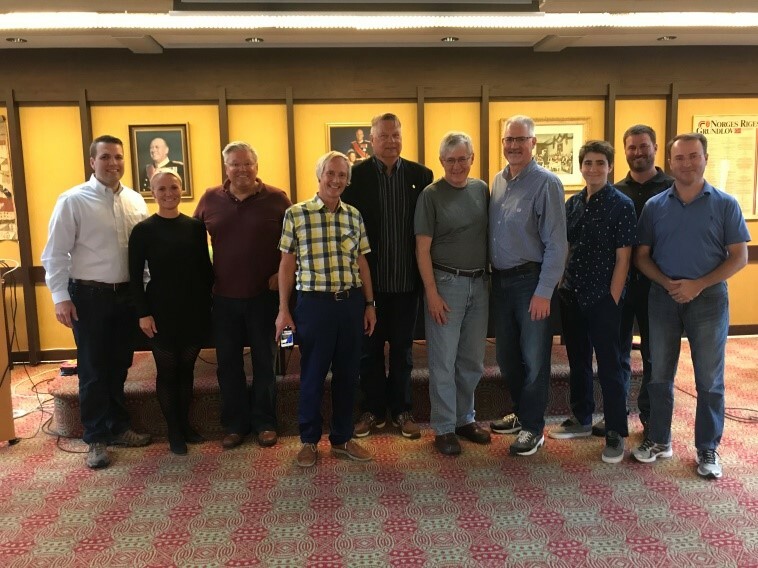 In August 2018, five representatives from the state of Nebraska traveled to Norway representing NCMA, University of Nebraska Omaha, and their respective communities. Four of these individuals were city administrators/managers, and included Silas Clark (city of Hickman), Nathan Johnson (city of Scottsbluff), Chris Anderson (city of Central City), and Jeff Hofaker (city of Sutton). The exchange also included one of its founding members, Dr. Blair, a professor in the public administration department. The trip schedule included multiple municipality tours and discussions with mayors, councilmembers, administrators, special advisers, department directors, and university personnel in the communities of Kristiansand, Arendal, Sogne, Songdalen, and Lyngdal. Each trip had a unique element of projects by which the visitors were able to acquire knowledge, interact with leadership, ask questions, and see examples of projects involving higher education, performing arts, economic development projects, marketing, and consolidation of municipalities. The key subject was the process of several localities working together toward the consolidation of multiple communities for better effectiveness, an activity instructed by the country’s parliament. This activity of creating new leadership processes and procedures is going on at the same time as the current system of government continues to operate. 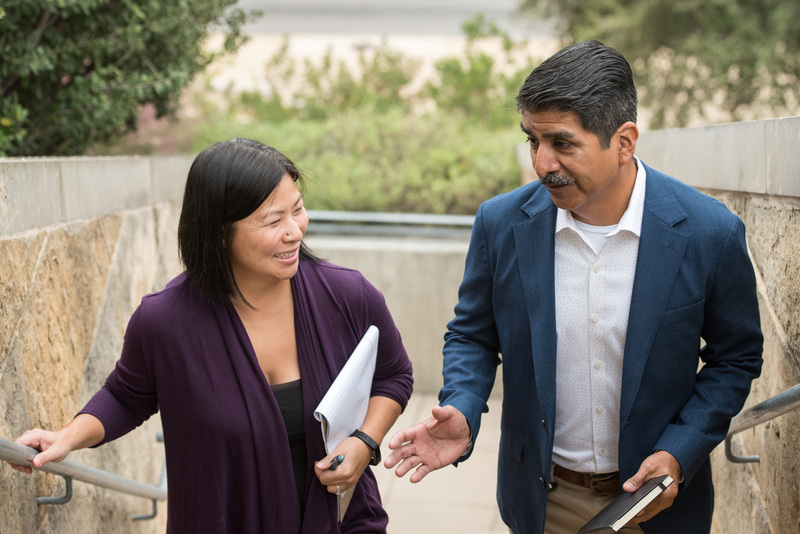 The deadline for these transitions of government leadership and administration is January 1, 2020. Delegates were able to learn about the process and interact with leaders who were directly involved with ensuring this process was completed by the fast-approaching deadline. The Nebraska team visited Norway this year, and the next visit will be in 2022. A delegation of Norway administrators will visit Nebraska in 2020. The exchange engages the participation of active working administrators because of their experience in the field, but the hope is to expand this hands-on, learning experience to students in both Norway and Nebraska who are pursuing public administration careers. Nathan Johnson remarked, “As managers, we are always tasked with the balancing act of carrying out the policies directed by city council while managing city operations. Norwegian managers have a different perspective on work/life balance, how to effectively treat people, and how to get the most from people in their working environment. We can learn a lot from our counterparts in developing ourselves and others within our respective organizations.” In many ways, this exchange allows for a brief submersion of the individual into the working atmosphere and interaction of international governance, which is similar to a shadowing apprenticeship with businesses being reinvented through some public schools. “Norwegian municipalities have a very similar feel, as councils represent the public interest and managers and administrators are appointed or hired to fulfill the day-to-day tasks and duties of running the municipality, although there are many differences, including a larger amount of councilmembers, broader duties of administrators, and duration of terms for public servants. The underlining aspect being sought by the Norwegian administrator is to provide more efficient services in the best way considering geographic and demographic challenges for all the community’s citizens, while at the same time providing a stronger representation of the people,” stated Jeff Hofaker. In the 21st century, where the Internet and cellphones have redefined the way business and government activities occur on a day-to-day basis, the best way to build relationships, understanding, and trust is still by face-to-face discussions and interaction. The exchange program was created to bring together leaders in the field of public administration and educational institutions in order to create a stronger understanding of how perceived differences can create similarities and even mutually beneficial improvements for government systems and educational processes. In the larger picture, an exchange creates a way to bring about discussion of differences and similarities, with an overall alliance toward the betterment of society in our communities. “This exchange of professional experience and academic knowledge between Nebraska and Norwegian leaders is a very important and vital program in order to provide the growth and betterment of creating effective, future leaders for our communities,” said Dr. Blair. PM Article: How Have You and Your Community Benefited from Working with Local Government Professionals in International Communities?